Russia vetoes UN resolution that would have extended mandate of a panel investigating who is behind chemical weapons attacks in Syria. 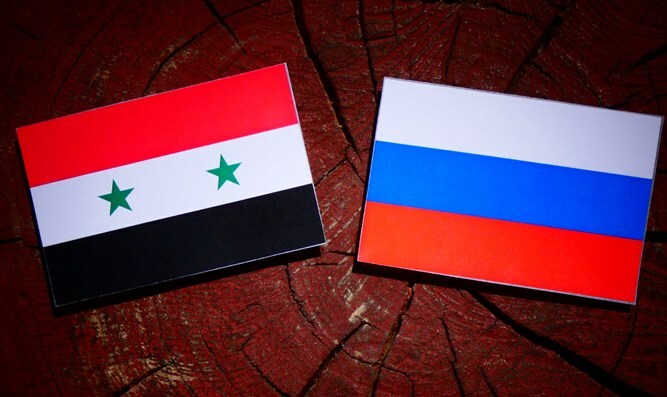 Russia on Tuesday vetoed a U.S.-drafted resolution that would have extended for a year the mandate of a panel investigating who is behind chemical weapons attacks in Syria, AFP reports. It was the ninth time Russia has used its veto power at the Security Council to block action targeting its Syrian ally. Russia opposed renewing the mandate of the joint UN-Organization for the Prohibition of Chemical Weapons (OPCW) panel before the commission releases a report on a sarin gas attack in Khan Sheikhun, which is expected on Thursday. The United States, France and Britain have accused President Bashar Al-Assad's forces of carrying out the April 4 attack on the opposition-held village, killing scores of people including children. A United Nations report by war crimes investigators, released this past summer, said they had evidence Syrian government forces were behind the April 4 chemical attack on Khan Sheikhun in which dozens were killed from sarin gas. Following the Russian veto on Tuesday, U.S. Ambassador Nikki Haley accused Moscow of "once again" siding "with the dictators and terrorists who use these weapons." "Russia has once again demonstrated it will do whatever it takes to ensure the barbaric Assad regime never faces consequences for its continued use of chemicals as weapons," Haley said in a statement quoted by AFP. "By rejecting the renewal of the work of the Joint Investigative Mechanism (JIM) - an independent, purely technical body - Russia has made it clear that it does not care about stopping the use of chemical weapons in the world," she added. China and Kazakhstan abstained on Tuesday, while Bolivia voted against the renewal and 11 other countries backed extending the mandate. Russia used its veto to block adoption. A resolution requires nine votes to be adopted at the council, but five countries -- Russia, Britain, China, France and the United States -- can block adoption with their veto power. The OPCW has in the past determined that civilians in Syria may have been exposed to chemicals even after the Syrian government agreed to a 2013 deal, brokered by the U.S. and Russia, to surrender its chemical weapons.